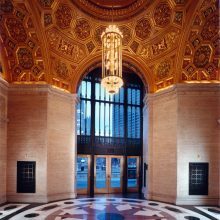 Also known as the London Guarantee Insurance Building, this Beaux Arts-style Classical Revival office building is one of Chicago’s most prominent skyscrapers, helping to define the character of the skyline at Michigan Avenue and the Chicago River. Many of the unique design details of the building were lost in a 1950s imposed modernism. 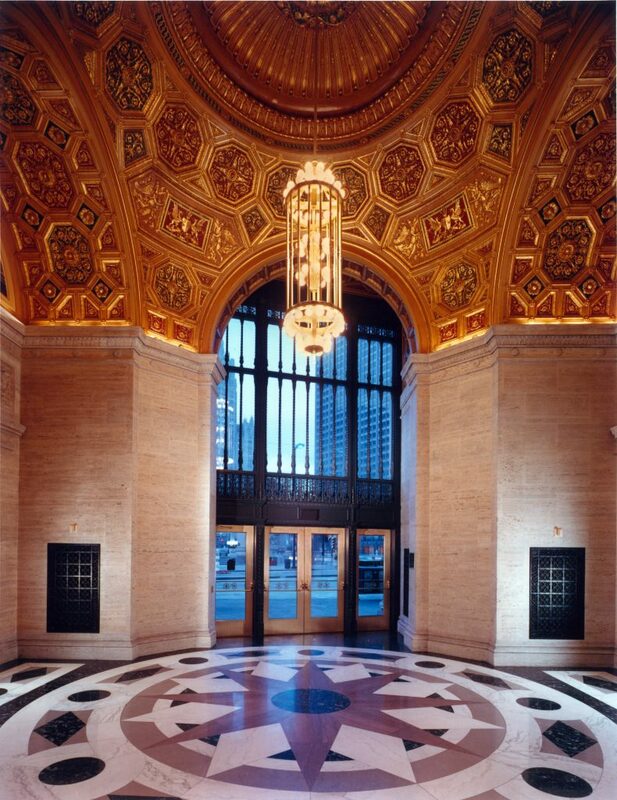 The original glass and cast iron entry was destroyed and replaced by flat granite slabs and low stainless doors. 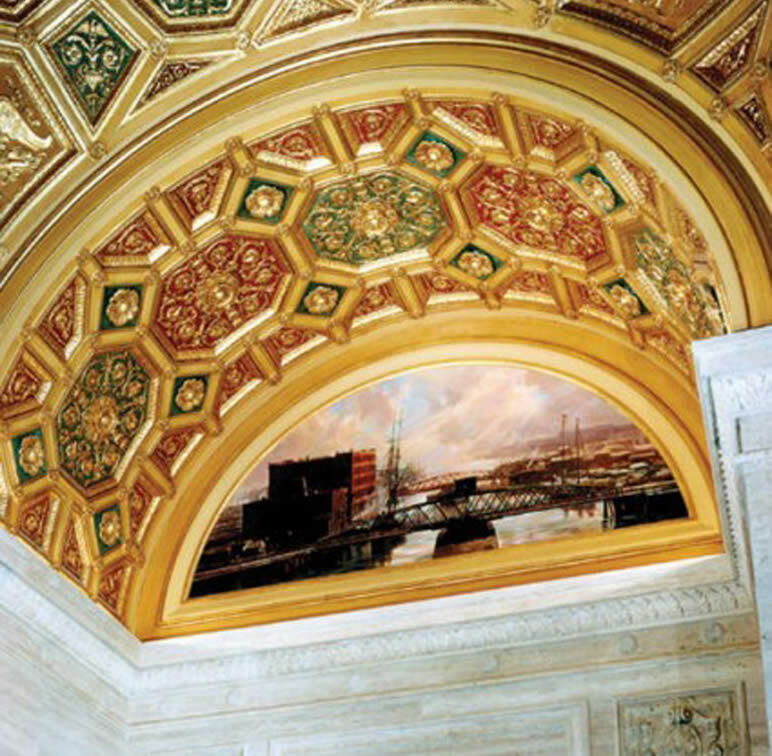 The interior 30-foot- tall rotunda was covered with a “modern” acoustical tile ceiling. 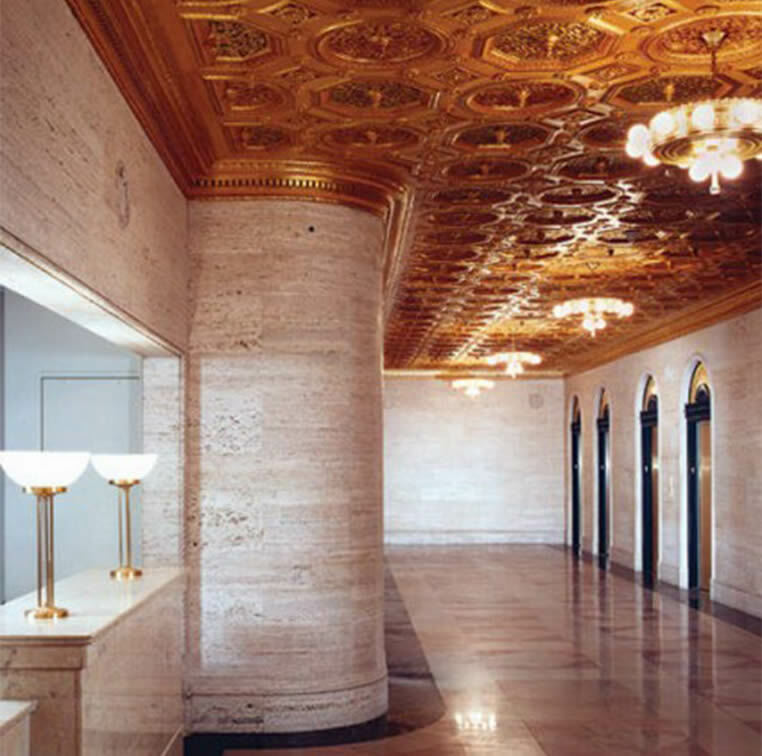 The renovation sought to return the building to its original character in both space volumes and detail. 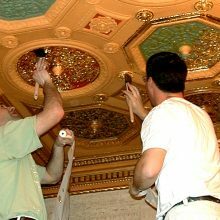 The building suffered from neglect and by 1996, when it was designated as a Chicago Landmark, it was 70 percent vacant. The owners restored the facade and historic interior finishes, and retrofit the mechanical infrastructure to attract Class-A tenants to this premier location. 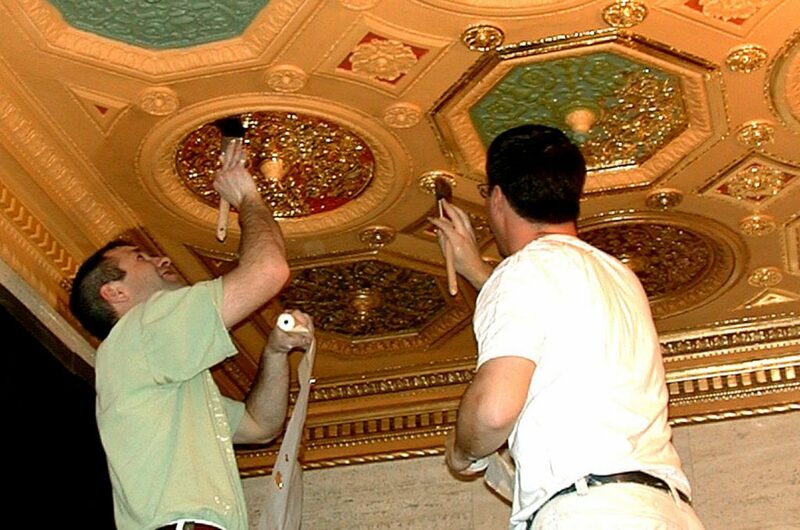 A team of EverGreene decorative painters reinstated gilding, glazing and polychromy on the 30’-high ornamental plaster ceiling and 120’-long corridor. EverGreene also designed and painted two new lunette murals for the lobby. The building was converted into a hotel in 2016.